What spires what farms are those? One hundred years ago, South Gloucestershire was a rural backwater of beautiful rolling countryside, market towns and villages, with some small scale industry in the south. 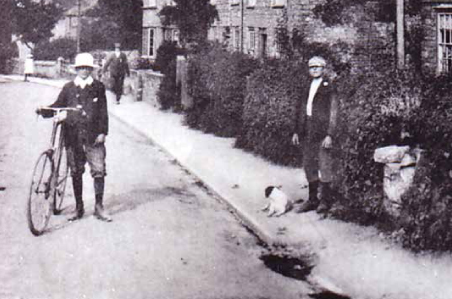 The First World War changed South Gloucestershire and our society. By looking into the well documented lives of the few, we can gain an insight into the many. The school master and the shopkeepers, valiantly did their bit for the war effort at home. One girl went to great lengths to bring back her injured man. Another girl found love that took her to the other side of the world. Some people suffered huge loss but went on to realise their dreams. After the war, many took advantage of opportunities that were available because of their war time experiences. Everyone had ghosts to live with. Some were so damaged they were unable to live a normal life again. But life does go on. These stories represent the local people who lived to tell the tale. They are the survivors.